The Kenya Kigwandi AB was carefully roasted for you by Metric Coffee. This fully washed coffee was sourced from the growing region of Nyeri in Kenya and was produced by the Mutheka Farmers Cooperative Society at 1,600 meters. The cup has lots of dark fruit sweetness like dates, mulberry, blackberry with a slight tomato jam note typical of Kenyan coffees. Ugh, definitely got an under-roasted bag. Vegetal, sour, almost mildew-y tasting. Going to have to toss this one. Jammy, tart, nutty, sweet. 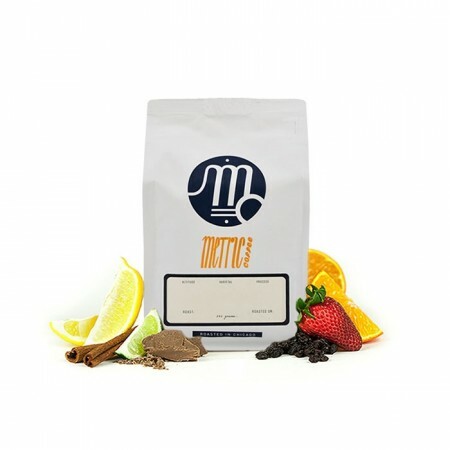 A bizarre, addictive, and delicious coffee. Well-balanced cup filled with notes of dried fruit and nuts. It starts with a savory pop of fig, perhaps with underlying stone fruit qualities like plum. The cup transitions and ends with a richer classic Kenyan coffee nuttiness, which adds an element of sweetness. Complex overall with low acidity. Very enjoyable! Tried a few different grinds. Still too bitter.